Concentrated, anionic detergent for manual and ultrasonic cleaning. Free rinsing to give you reliable results without interfering residues. 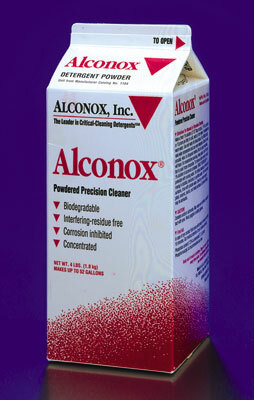 Ideal for cleaning contaminants from glassware, metals, plastic, ceramic, porcelain, rubber and fiberglass. Excellent replacement for corrosive acids and hazardous solvents. USDA authorized. Dilute 1:100. pH 9.5.